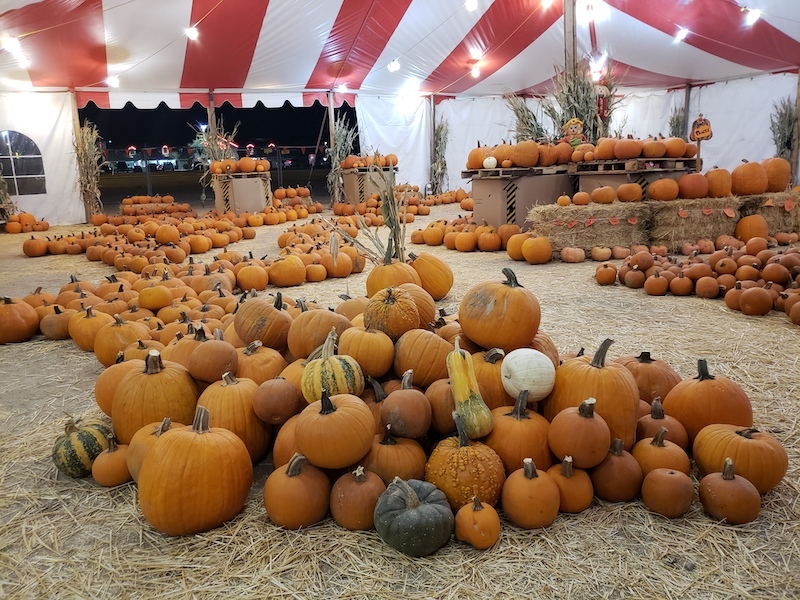 Every year, an often overlooked outdoor pumpkin stand pops up in Casa Grande. 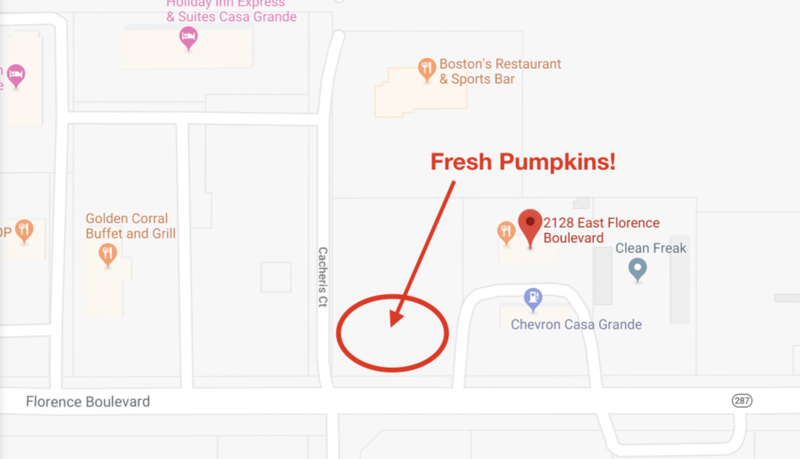 We’ve found this location to be a fantastic source of extremely fresh, beautiful pumpkins that are great for carving, so we wanted to pass it along! This year, the stand is located just west of the Chevron near Florence Boulevard and Cacheris Court (see map below). This spot is open from 9:00 a.m. to 9:00 p.m. every day until Halloween, and then they turn into a Christmas tree shop the day after Thanksgiving! If you haven’t been satisfied by the bins of imported pumpkins at grocery stores, here’s your chance to upgrade on selection and freshness!